​Apostle Dr. Sunday Popoola is founder and president of Word Communication Ministries Worldwide, Chairman of the Oyo State Chapter of the Pentecostal Fellowship of NIgeria, and Senior Pastor at Christ Family Assembly in Ibadan, Nigeria. 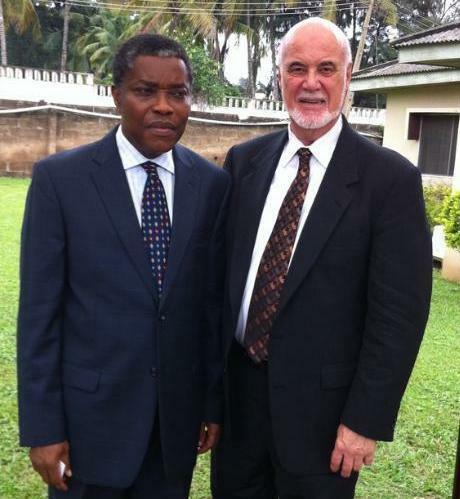 Dr. Popoola ​​was my most gracious host for last year's Pastors and Leadership Training Conferences in Ibadan, Nigeria and I will be with him again for this year's annual events on August 12-20, 2013​​. ​​ R.A.N. is also working with WOCOM​ to ​​help fund completion of a much-needed school building at Protege Faith Academy at Idi-Amu Village, Oyo State, Nigeria. ​Reach Africa Now, Inc. has made a strong and sustained commitment to partner with the leadership, bishops, and pastors of the ministry known as Calvary Assembly of God Churches of Tanzania (CAG) Since 1994, Apostle and General Overseer Dunstan Maboya and National Executive Secretary Dr. Zephaniah Ryoba have provided powerful and Godly leadership to the now 830+ CAG churches which have been planted throughout that nation and having been privileged to partner with them for their annual Pastors Training Conferences each summer since 2010, I will be doing so again this coming July 29-August 4, 2013. 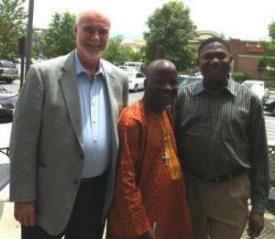 ​Bishop Peter Makanto (center) Upper Room Cathedral , Yola, Adamawa State, Nigeria. 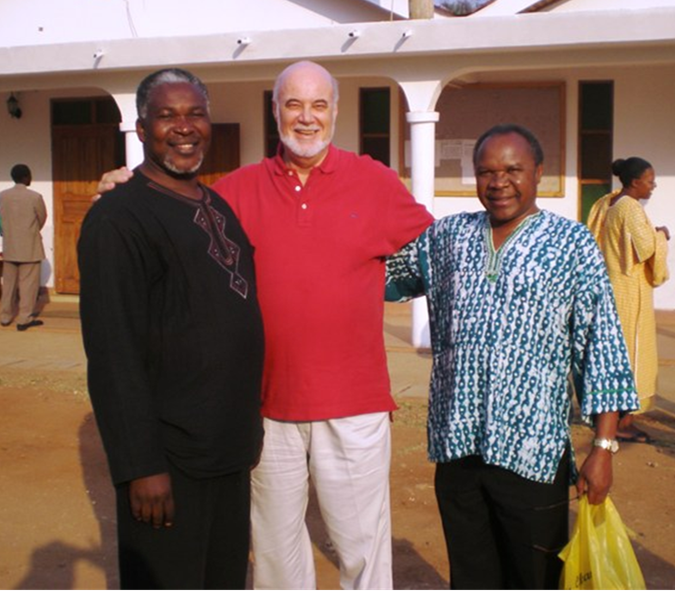 Dr. Michael Omotoso (right) founder & lead pastor at Light of the World Ministries International based in Bowie, Maryland USA.